The Bachelor of Science in Computer Science provides students with a solid background in fundamentals of computing and prepares them for employment in a wide variety of positions and for graduate study in computer science. The content of the department’s courses is continually monitored to ensure they are consistent with fast-changing developments in the discipline. Courses are offered in day and evening sections for the convenience of our students. Appropriate university and departmental computing resources are available to students taking computer science courses. 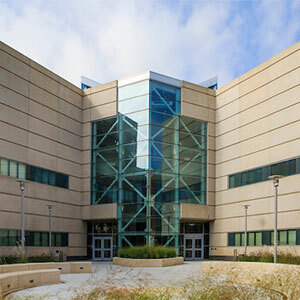 The Department of Computer Science offers an integrated undergraduate/graduate (IUG) track that provides undergraduate students in the College of Information Science and Technology the option to complete the undergraduate degree (BS) in computer science (CS) and the graduate degree (MS) in five years. The program is 141 to 144 credit hour undergraduate-graduate program that allows eligible students who are motivated and willing to take on early the challenges related to graduate education to work towards an accelerated MS degree in CS while completing their undergraduate degree. Students interested in this program will work closely with an advisor and a faculty mentor to develop an integrated plan of study. The program also allows students to follow either a general computer science study plan or specialized concentration study plan. Seven areas of specialized concentration are provided in the graduate CS program. Students who have satisfied the requirements for their first baccalaureate degree other than computer science at the University of Nebraska at Omaha must complete a minimum of 30 additional semester hours at the University for a second bachelor's degree. In all cases, students are responsible for completing any courses identified as prerequisite or co-requisite for the courses in the minor. In addition, students must have a grade of C- or better in any prerequisite for a CSCI course.